Alula Pankhurst is a consultant in social development. 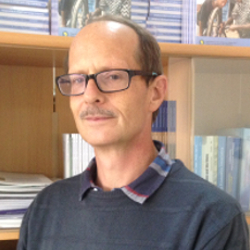 He has twenty years of professional experience in Ethiopia working for a number of international donor and Ethiopian organisations, and researching poverty and related issues. He is currently the Young Lives Ethiopia Country Director, a University of Oxford research project funded by the UK Department of International Development, Manager of Pankhurst Development Research and Consulting Plc. He is a lead researcher of the Wellbeing Illbeing Dynamics in Ethiopia longitudinal research project tracking community change. His other positions have included: Advisor, Wageningen University Disaster Studies, Linking Emergency Assistance with Food Security Project; Principal Investigator, World Values Survey Ethiopia; Anthropology team leader, Ethiopian Home Gardens project. He was the Ethiopia country director of the Wellbeing in Developing Countries project from 2003-2007, focusing on understanding the linkages between poverty, inequality and quality of life.